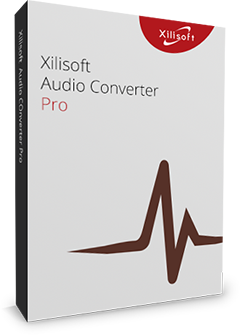 Xilisoft FLAC Converter is the most convenient converting tool which is capable of converting FLAC(Free Lossless Audio Codec) audios into a variety of other audio formats with high quality preserved. Various output audio formats are available like MP3, WMA, AAC, WAV, CDA, OGG, APE, CUE, M4A, RA, RAM, AC3, MP2, AIFF, AU, MPA, SUN AU to fit your music players and other digital devices. In addition, multi-threading and multi-core CPU technologies guarantee the converting process complete as fast as you ever expect. 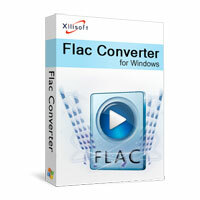 Convert FLAC(Free Lossless Audio Codec) audios into other formats with great quality preserved. Various output audio formats are available like MP3, WMA, AAC, WAV, CDA, OGG, APE, CUE, M4A, RA, RAM, AC3, MP2, AIFF, AU, MPA, SUN AU. Multi-threading and multi-core CPU technologies are embedded to accelerate the converting speed as fast as possible. 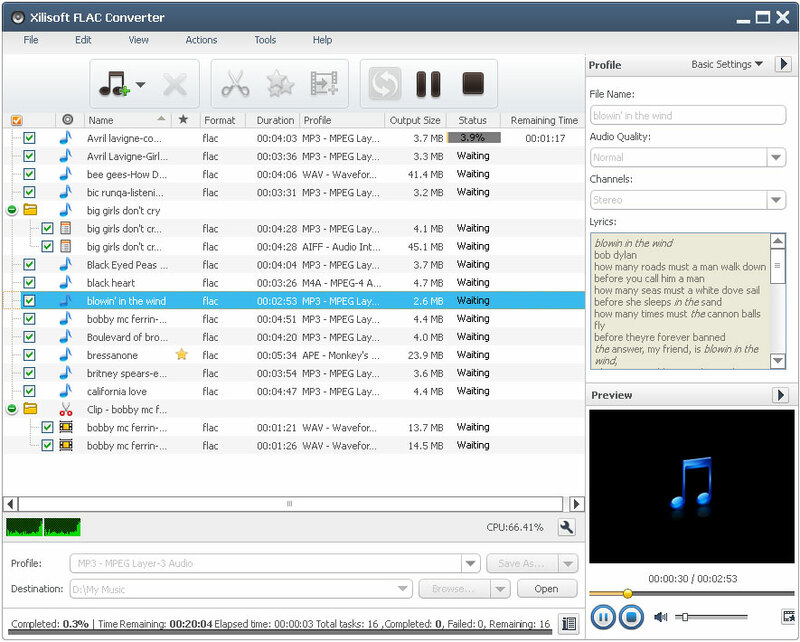 You can convert one source FLAC file into several formats simultaneously for different usage. Customize the audio length by specifying start points and end points to cut audio segments. Split large output into several equal parts to fit the capacity of portable devices. Versatile effects can be added to enrich the output like fade-in/fade-out, Normalize, Band Pass, Chorus, Flanger, Echo, all at your hand to create the most customized output. Set a range of parameters to customize your audio output, edit ID3 tag info of your audio tracks. You can convert many files in a batch regardless of their target formats. Supports playback of all the audio files with the built-in player to review the effect. Set audio conversions to run in the background and save CPU resources for other applications. Set this audio converter to auto exit, shut down, stand by, or hibernate your PC after a task is complete so you can concentrate on other things. English, German, Spanish, French, Italian, Japanese, Simplified and Traditional Chinese interface languages are optional.